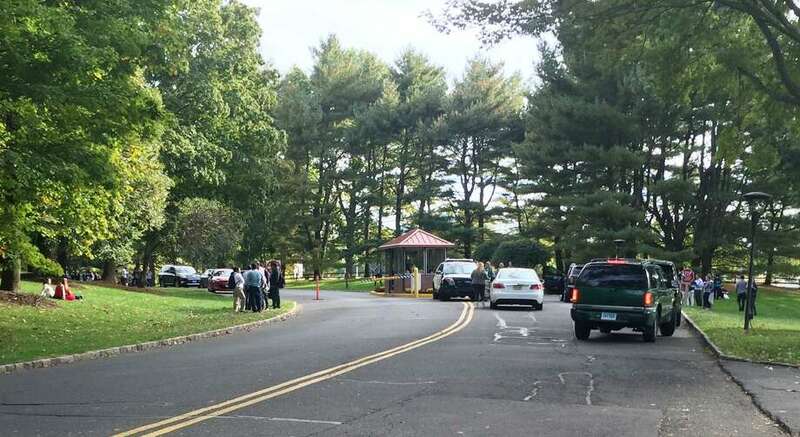 Police are on site at the Bridgewater Associates Nyala Farms Road complex after a bomb threat received around 3:15 p.m. on Oct. 12, 2016. WESTPORT — Greenwich billionaire Ray Dalio gave viewers a rare look inside the Westport offices of his company Bridgewater Associates in an interview that aired on CBS’s show 60 Minutes Sunday. Walking through Bridgewater’s property at Westport’s Nyala Farms center, a 53-acre campus in the Greens Farms section of town, Dalio told “60 Minutes” Correspondent Bill Whitaker that wealth inequality in America is a national emergency. It may be surprising to hear Dalio, founder of one of the world’s largest hedge funds, say “the American Dream is lost” because of the wealth gap. But Dalio, whose firm manages $160 billion, said American capitalism is not sustainable without a reallocation of resources through increased taxation on wealthy people like himself. “Capitalism needs to be reformed. It doesn’t need to be abandoned. So, like anything, like a car, like anything, a plan, a school system, anything, it needs to be reformed in order to work better,” Dalio told Whitaker. Dalio’s “60 Minutes” interview came two days after he announced a five-year $100 million commitment to the state of Connecticut. The funds — which will be matched by $100 million from the state and $100 million from other philanthropists and business leaders — will be used to benefit students in under-resourced communities with a specific focus on communities where there is both a high poverty rate and a high concentration of young people who are showing signs of disengagement or disconnection from high school. It is the largest known philanthropic donation to benefit the state in Connecticut’s history.